Good stories keep us thinking. They encourage metacognition and enable children to think critically about the "big ideas" within the details. One way for children to discover these “big ideas” is through a discussion of evidence. 1. Present the following question: Since the giant wanted to eat Jack, was it okay that Jack stole the giant’s goose and harp? 2. Have children reread the story to mark passages (the evidence) that justify Jack’s actions (or not). 3. Have children write their answers (using evidence from the story). 5. Discuss the question by encouraging them to share the evidence they accumulated. During the discussion, children listen to each other's interpretations which leads to new questions and ideas. 6. In small groups, have children record their ideas and evidence using the headings: Yes, it was okay for Jack to steal. No, it was not okay for Jack to steal. 7. Discuss how people often change or improve ideas after evaluating the evidence. Use Jack and the Beanstalk as a springboard for deeper philosophical questions (using evidence from life) such as, Is stealing ever justified? 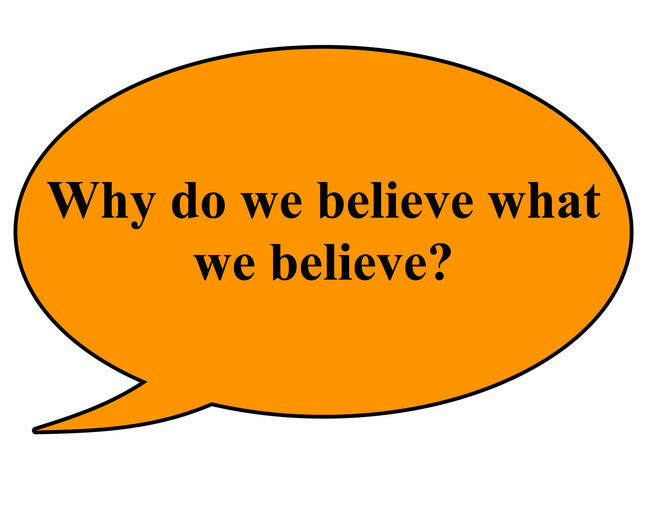 and Why do we believe what we believe?